The Reaper is clearly having a mid-life crisis or something. I don’t know what’s with him- maybe he’s trying to impress a chick somewhere- hey Reaper! She’s not gonna hook up with you- YOU'RE THE REAPER! Everything you touch dies! She’s not impressed! You’re not the type of guy who gets the girl- unless she’s dead, then you get her! The Reaper-Bus is beginning to look like the couch on one of Johnny’s shows right before he went on vacation or something. 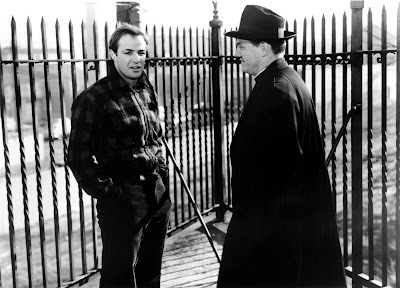 Karl Malden, WW2 veteran, who was an Emmy and Academy Award winning actor, and great in “On The Waterfront” (filmed in Hoboken, the Prague of New Jersey, by the way), is dead at 97.